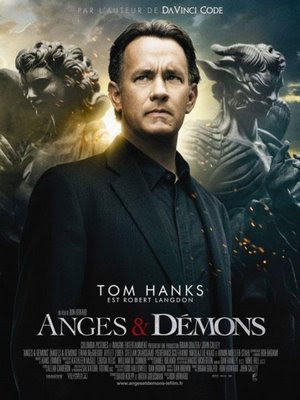 Went to watch Angels and Demons today with my best friend. We decided to go Downtown East Cathay Cineplex as we were quite sick of going to town. A little word of warning... the cinema at Downtown East is rather cold and I had to watch the whole movie without jacket. The Pope died and the conclave has been called for. Four candidates were chosen. However, before the voting, the 4 candidates are killed one by one. The killer leaves clues that seem to say that he/she is from the Illuminati. Strangely though, the Illuminati was long thought to be extinct. Who is the mastermind? Who revived the Illuminati? What do they want? Overall, I enjoyed the movie as much as I enjoyed Da Vinci Code.